Our farm is a very busy place. 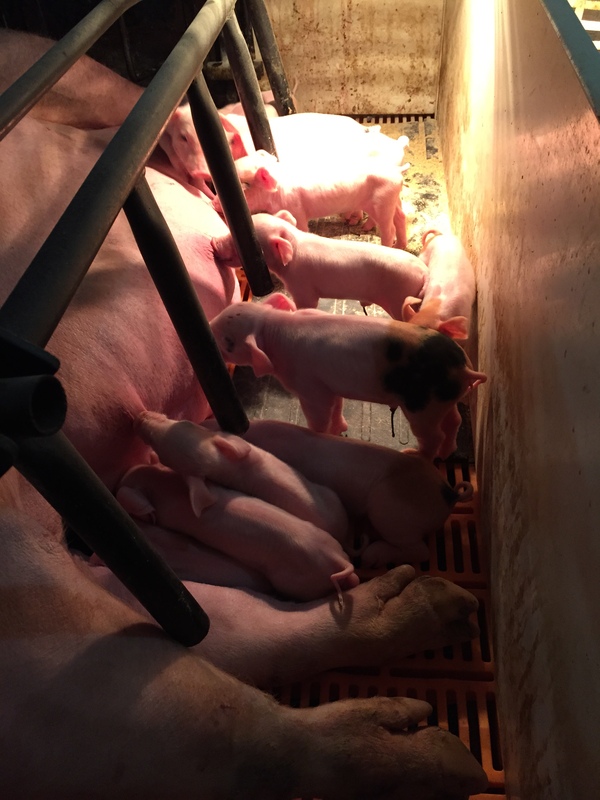 There are always baby pigs being born, crops to harvest and animals to take care of. We get many requests to visit the farm. 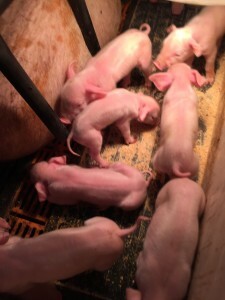 Because baby pigs are cute and people want to see them. But we don’t let the public on our farm. It takes a lot of time to have visitors go through the same bio-security measures we must take on the farm. And then it takes time to show guests around and explain the farm to them. So the answer is almost always no. Until recently. In an effort to bring some “city moms” to the farm, I recently had my friend Crystal from Mom For Less come out to the farm for a visit. She brought her cute little guy with her to see our hog farm. I worried she would panic because our farm smells like a farm. It’s hog manure. Not a rose patch. I worried that she would be put out by our requirements that she and her little guy taking a complete head-to-toe shower before they could come in the barn. I worried that my answers to her questions might not explain our farm well enough. I think I worried for nothing! I had a blast hosting Crystal on the farm! She asked great questions and truly appreciated the hard work that goes into our 4th generation family farm. You can read her account of the farm visit here. I’m glad she came for a visit! And come back in a few days as I’ll share a recipe that ties to her visit to our farm!